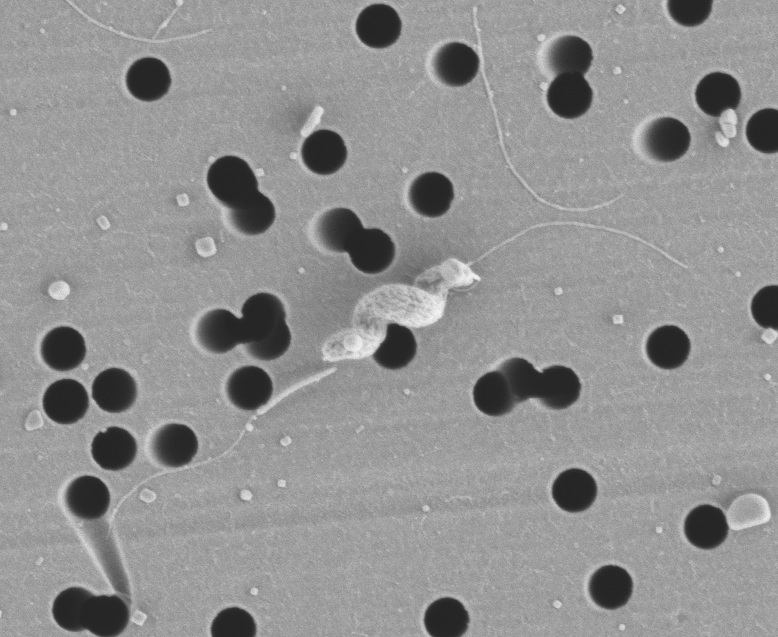 Researchers at the Institute of Food Research have discovered why the micronutrient selenium is important to the survival of Campylobacter bacteria, which are responsible for an estimated half a million cases of food poisoning annually in the UK alone. Knowing how and why Campylobacter uses selenium could help develop ways of controlling it, benefitting public health and the food industry. Converting nutrients into energy is essential to all forms of life, and without this process, known as respiration, life would not exist in harsh and hostile conditions. This holds true for the foodborne bacterial pathogen Campylobacter, which colonises the intestines of poultry. In this environment it uses organic acids produced by other bacteria to respire and thrive. Campylobacter needs selenium to make the formate dehydrogenase enzyme required for this respiration, but it is not known how selenium is acquired or metabolised by Campylobacter or many other bacteria. New research from the group of Dr Arnoud van Vliet at the Institute of Food Research, strategically funded by the Biotechnology and Biological Sciences Research Council (BBSRC), has resulted in the identification of two Campylobacter genes which are required for the formation of the formate dehydrogenase enzyme. Inactivation of these two genes blocked the formation of the formate dehydrogenase enzyme, but when the bacteria were supplemented with extra selenium, they were able to synthesize the enzyme again, suggesting that the two Campylobacter genes are involved in selenium metabolism.. As it was previously shown that the lack of formate dehydrogenase affects the ability of Campylobacter to colonise the chicken gut, this may open up possibilities to target this pathway for antimicrobial purposes. In addition, as these selenium metabolism genes and the formate dehydrogenase enzyme are also present in other important foodborne pathogens like Salmonella and E. coli, it may be possible to extend such investigations to other areas of food safety. “Selenium metabolism is still poorly understood in bacteria, and its role in important foodborne pathogens like Campylobacter is not yet appreciated fully”, said Dr van Vliet.